I was excited that time because FAT restaurant sponsored our dinner for the launch of Lakwatseros pilot episode that shown last Saturday, July 4, 8:20 AM on GMA News TV hosted by JL Asayo and Anzo Arlan and attended by selected travel bloggers. 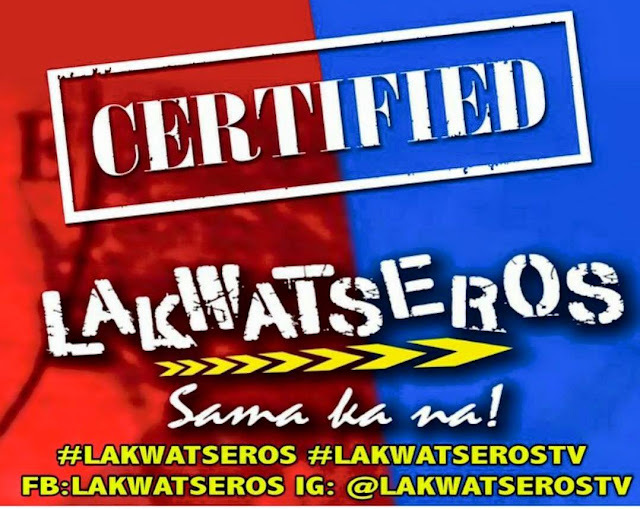 If you want to see something new about travel documentary show, do watch Lakwatseros. That night was so delightful because of all the food served by FAT restaurant to us. FAT Restaurant embodies guilt-free comfort food. It is unabashedly unapologetic in its gastronomic delights. 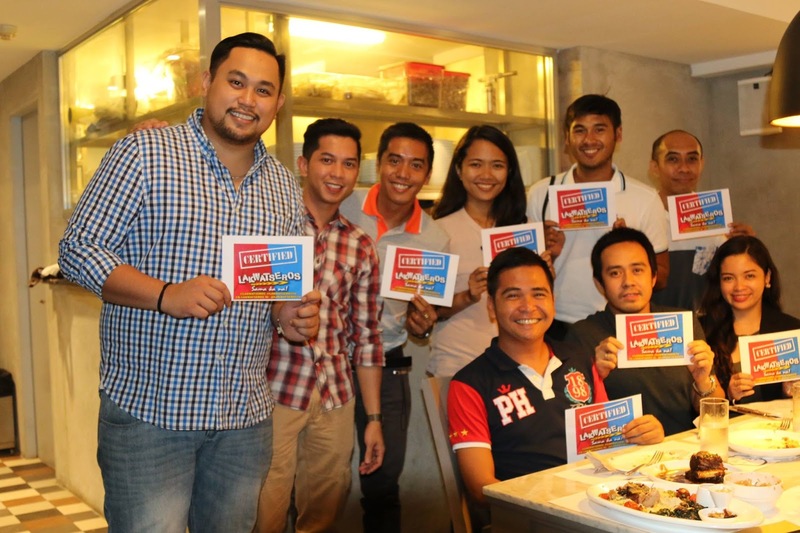 And we're able to meet the man behind FAT Restaurant delicious food, Chef Kel Zaguirre. 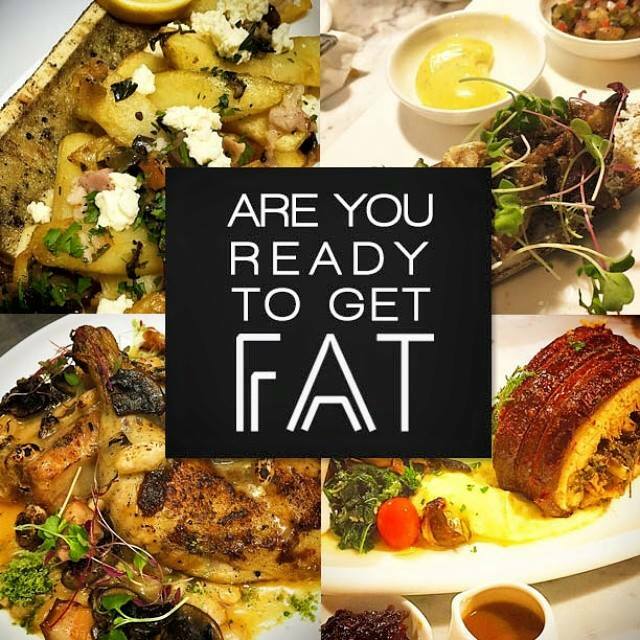 Get ready your tummy for all the dishes that we had at Fat Restaurant that you probably feel the cravings. One of the FAT Snack that made of fries, roasted bone marrow, mushroom ragout, house-made double smoked bacon, kesong puti, and bone marrow gravy. I used to eat bone marrow in a beef marrow stew (bulalo) with rice and a bit of fish sauce but this FAT Poutine dish with Roasted bone marrow is so delicious, you tasted a bit like eating a butter and best combination when you pour some bone marrow gravy and with some fries, bacon, and kesong puti. Another FAT Snack that made of grilled pork’s ear, herb oil, sourdough, pico de gallo, with mango mayo, and saffron aioli for the dip. Grilled pork’s ear is considered as one of the common street food in Asia, but Pork’s Ear En Croute gives some twist with the usual grilled pork’s ear, it tastes good with the sourdough and herb oil and to add more flavor, you must put some mango mayo or saffron aioli dip. One of the appetizer that made of boneless short ribs, kimchi rice, seared foie grass, and 64-degree egg. This is my first time to try Korean beef stew, this dish is so delectable because the boneless short ribs are tender and juicy, tastier if you added the sauce and best with kimchi rice and the egg. Another appetizer that made of boneless roast pork with whipped potatoes, spinach, and dip like bacon jam mushroom ragout. I really like this dish, it is a boneless roast pork surrounded with crisp crackling skin and with its ingredients that added more flavors. And make it even tastier with some whipped potatoes, spinach, and add some bacon jam or mushroom ragout to make it even more scrumptious. This dessert is made of phyllo pastry, pistachio, almonds with maple glazed bacon syrup and brown butter ice cream. A mouthwatering dessert that made me also curious because there is a bacon, bacon in a dessert? That’s so good, with the crisp phyllo pastry and different nuts on it that makes it even delicious with the butter ice cream. The place looks cool with a nice ambiance that you feel relaxing and comfortable and the staff is very accommodating.